^ Hafner, Katie; Lyon, Matthew (1996). Where Wizards Stay Up Late: The Origins of the Internet. Simon & Schuster. p. 137. ISBN 0-684-81201-0. "Steve Crocker and Vint Cerf had been best friends since attending Van Nuys High School in L.A.'s San Fernando Valley.... While Cerf and Crocker were academic stars, Postel, who was twenty-five, had had a more checkered academic career. He had grown up in nearby Glendale and Sherman Oaks, and he too had attended Van Nuys High School, where his grades were mediocre." 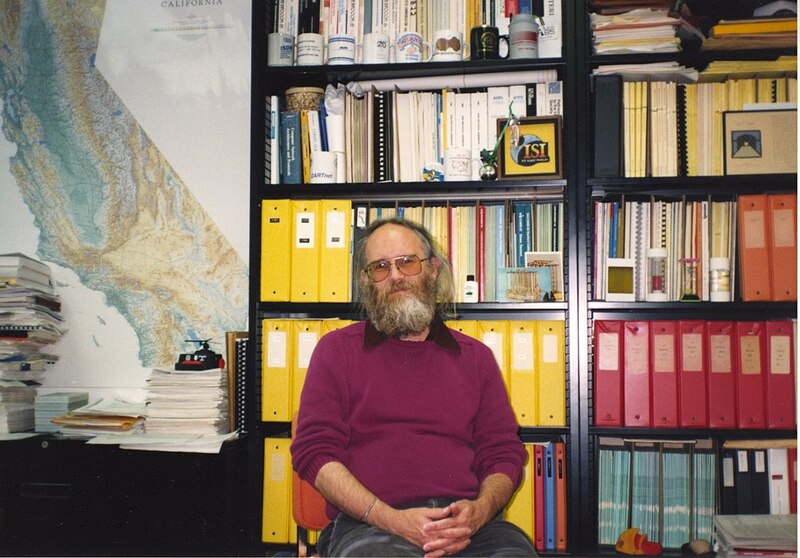 ^ Jon Postel, Internet Pioneer, Dies at 55 after Heart Surgery. Washington Post, 1998-10-18. Accessed 2016-09-09.